In this particular museum I would say that their collection of armoured cars is probably the best part of it for me. Lined up along either wall, for instance, are all the notable post war British vehicles – Saladin, Saracen, Ferret and Pig, as well as ones I had not seen before, such as the BTR-40. 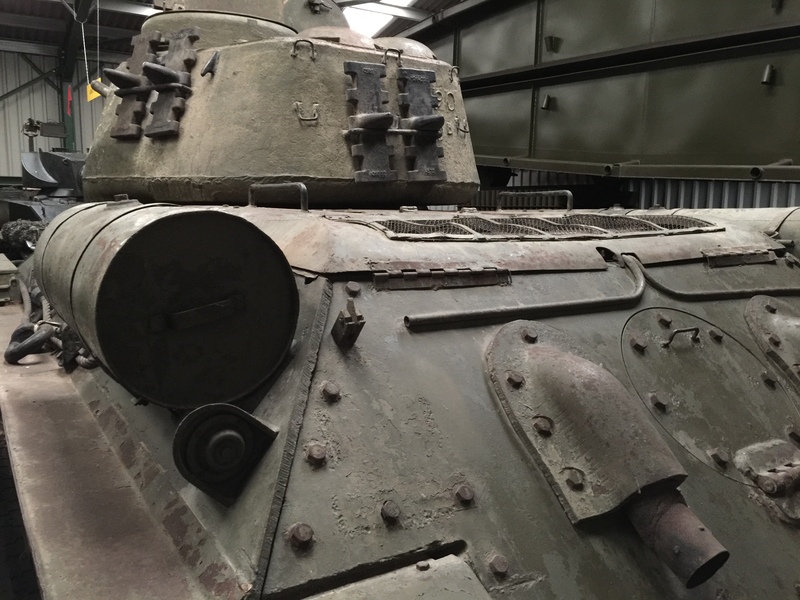 They also have a very nice collection of tanks, many of which still seem to run. From a modelling perspective, the T-55 and T-34 were interesting – I took a few close up shots of the weathering on them. In particular the T-34/85 has supposedly only had one minor repair in over 70 years and has the original paint – an amazing vehicle!